Starting 31 January, GoPro’s Plus subscription service has been improved. From now on, if your GoPro camera gets smashed, the company will replace it for you, no questions asked. Also, they’ve added a few more benefits for the Plus subscribers which will be launched soon. GoPro Hero 6 vs GoPro Hero 5, is it worth the upgrade? The GoPro Hero 6 is here. It’s new, it’s shiny, and it’s $100 more expensive than the old one. But is it worth the upgrade? The GoPro Hero 5 was something of a disappointment for many. Sure, it had built in waterproofing and touchscreen. But beyond those, it did really seem to offer all that much over the GoPro Hero 4 Black. So how does the GoPro Hero 6 compare? This video, from the folks over at Vistek, puts the new Hero 6 head-to-head with its predecessor, the GoPro Hero 5 to see if it’s really worth upgrading. Here is an interesting question. If a $50 Handycam can be compared to $50,000 RED, why not pitch a Panasonic GH5 against a GoPro? Youtuber biscuitsalive did just that and has some interesting feedback on the resulting footage. 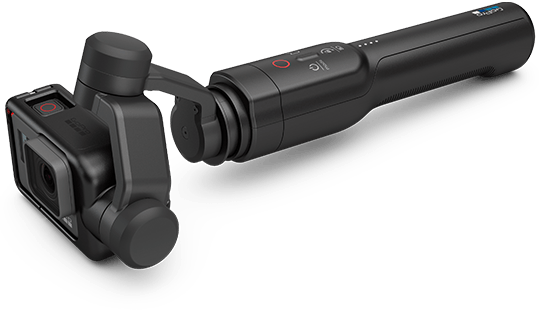 We were (semi) excited about the GoPro hero5 Black announcement. And while the footage wuality is yet to be seen, we were still left with some questions about how the camera actually feels and operates. Questions like how does the camera mount to a stick (or any other accessory for that matter)? How does it feel in your hands? Is the LCD any good? Luckily we met the gopro team on the floor and they just happened to have a gopro hero5 black with them. We asked to play with it for a few minutes and got some info to share. GoPro just announced their new line of cameras (along with the Karma drone) and frankly I am not that excited. The new line from GoPro is called Hero5 (no big surprises there) and it features only two cameras: a more advanced GoPro Hero5 Black and a smaller GoPro Hero5 session. That, I think, is a good sign that GoPro are getting some of their focus back and not spreading too thin on their camera range. The question of whether these cameras (and drone, and gimbal) are enough to catch up with competition is a different one.